British businesses are reporting a surge in demand from current and former staff who want to swap their “final salary” pensions for cash. Half of the 182 employers surveyed by the Association of Consulting Actuaries, a trade body, said they had received transfer request from at least 5pc of scheme members. Growing numbers of savers are seeking to move their pensions final salary schemes to “defined contribution” plans because of the extra flexibility afforded and superior tax treatment on death. 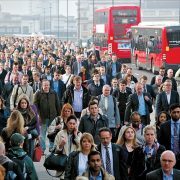 It is thought more than £50bn has been taken out of final salary schemes over the past two years, with the average transfer exceeding £250,000. This suggests that the option is being used by better-off employees or past employees. But record-low interest rates have also pushed up the “transfer values” offered by pension schemes to those who give up their entitlements and take a cash transfer instead. Final salary type schemes pay a guaranteed, inflation-linked income for life. To provide equivalent benefits via an annuity has become increasingly costly, a fact reflected in higher transfer values. In some cases, for example, people are being offered around £500,000 to give up a pension paying £12,500 a year. These schemes are all but extinct in the private sector because they are incredibly expense for sponsoring employers to support. They are required by law to meet their income promises no matter prevailing market conditions. 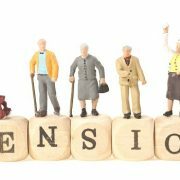 Instead, the type of pension generally offered now is the “defined contribution” scheme were the worker builds up a pot over the course of their career – rather than a promise of any income. The majority (61pc) of final salary members who want to transfer are struggling to find a financial adviser to help them do so, the ACA’s research found. Under Government rules, savers must see a financial adviser if transferring a pension worth £30,000 or more. This equates to a pension expected to pay just £1,000 a year. Savers have a right to transfer as long as they can prove they’ve taken advice, whether or not they have been recommend to go ahead with the move. Yet many advisers are wary of taking on pension transfer business as they fear savers don’t fully understand the risks involved and may make claims for compensation years into the future. In the Nineties, billions of pounds of compensation was paid out to people who were wrongly advised to give up company plans for personal pensions. The ACA said the dearth of willing advisers explained why only one in four requests actually resulted in a transfer. He added savers were being frustrated, and schemes were facing rising costs, because of a lack of standards for dealing with inquiries and transfers. He urged the City watchdog, the Financial Conduct Authority, to “act swiftly to help all concerned”.